The Hershey Figure Skating Club will be hosting a Princess Skate and Tea, to be held on Sunday, March 10th from 12:30-2:30pm at the historic Hersheypark Arena. 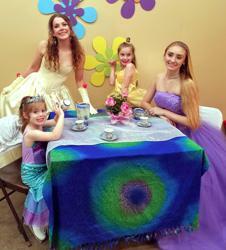 Skaters are encouraged to dress like their favorite princess! Please arrive 15 minutes early to allow time for check in and selection of rental skates. Gloves & bike helmets are recommended. Depending upon your skater's princess attire, you may want to bring a jacket in case she gets cold. The Arena is not overly cold, but this is on ice!